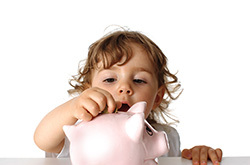 The Child Care Scholarship (CCS) (formerly known as Child Care Subsidy) Program provides financial assistance with child care costs to eligible working families in Maryland. The program is managed through a centralized vendor -- Child Care Subsidy Central (CCS Central). Willing to provide proof that each child needing child care is a citizen of the United States or a qualified alien. (Provide a Birth Certificate for each child or documentation that certifies the child's status.) NOTE: Parents ARE NOT required to be citizens of the United States. Willing to provide a Photo I.D. (Only required of the head of households.) The Child Care Scholarship (CCS) Program provides financial assistance with child care costs to eligible working families in Maryland. The program is managed through a centralized vendor -- Child Care Subsidy Central (CCS Central). Learn more about the Child Care Scholarship Program by clicking here. Families take the voucher to a child care provider that participates in the Maryland EXCELS program. The voucher is a signed agreement between the State, provider and parent. The voucher is returned to CCS Central for processing. The family is responsible for paying the State assigned co-payment directly to their child care provider. Once the child begins care, the child care provider submits an invoice for payments and is then reimbursed for the subsidy portion of the payment by the State. Download additional information here (PDF). Temporary Cash Assistance (TCA) applicants or recipients who are working, in job training, or in public school. Families who have received TCA at any time during the last six months. Income eligible families who are not receiving TCA, but are in public school, working, or in training to lead to employment. A CCS voucher is valid for up to 12 months from the effective date. The expiration date is listed on the voucher. Informal voucher -- can be used for care provided by a relative in the relative’s home or child’s home; a non-relative in the child’s home; a non-relative in the non-relative’s home if the care is for less than 20 hours per month. The family co-payment is the amount that the family pays for child care and is an amount assigned by the State. The amount of the co-payment for each child decreases if families are receiving subsidies for more than one child. Families eligible for Temporary Cash Assistance and Supplemental Security Income have a $0 co-payment. Many child care facilities charge an additional amount to families -- this is called an additional fee and is the difference between the amount they charge any family, the reimbursement amount and the State assigned co-pay. 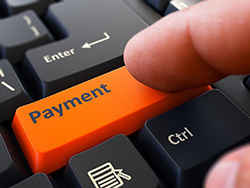 Payment information should be clearly addressed in any provider contract.